Rarity from My Little Pony FIM, pleased with hairstyle and her friends. This was a practice of drawing in pencil and then in pen. I've been absent from this website for the past couple of years as you can see from my previous journal check out. Might have done the odd artwork through that. I'm going to bring some artwork and possibly some stories as well in the coming weeks and months. I've graduated from University of Salford with a MA in Animation. I'm aiming to work as a cartoonist, writer, special effects artist and director in the film-TV industry. But I'm also interested in getting involved with comics and designing. It's the reason why I've been practice with my drawing skills. Also it would help with drawn/2D animation and storyboarding as well. 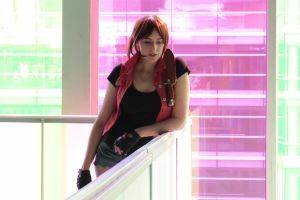 Thanks again for the on my Claire cosplay pics! You're very welcome. Love your Heavenly Island look, accurate and I wanted to see a real version.